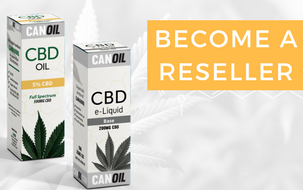 Canoil is a Dutch manufacturer of CBD oil. We offer CBD oil with hemp seed oil and olive oil with percentages of 2.5% - 5% - 10% and 15% CBD. These are available in 10 ml or 30 ml bottles. CBD stands for cannabidiol and is one of the no less than 304 different types of cannabinoids found naturally in the hemp plant or cannabis sativa. Every human and every animal has a so-called endo cannabinoid system. Endo means body's own. The endocannabinoid system regulates the function of the cells in the body. The cannabis plant contains the so-called phyto-cannabinoids. Phyto means plant. These phyto-cannabinoids are like copies of our own endocannabinoids. This allows phytocannabinoids to influence or support certain processes or functions in our body without adversely affecting the body's defenses. This is because the body recognizes it as its own. Cannabidiol is a phytocannabinoid that is considered to be the body's own substance. This means that these substances can be quickly and correctly absorbed by our body. What is the difference between CBD with hempseed oil and CBD oil with olive oil? Is Canoil CBD oil with hemp seed oil better than CBD with olive oil? No, in principle both oils have the same properties with the function of incorporating the CBD. Both oils can be considered equivalent. CBD can be easily applied under the tongue by this oil so that the CBD can be absorbed into the body. Many people choose CBD oil with hempseed oil. For a simple reason, hemp seed oil comes from the hemp plant and therefore everything is made from one plant. The taste of CBD oil with hempseed oil is also unique in flavor, some people like this and others find it bitter. Do you like the natural scent and taste of a flowering cannabis plant? Then we recommend you to choose CBD oil with hempseed oil. For those who do not like the taste of CBD with hempseed oil, you can better choose olive oil-blended CBD oil. CBD oil with olive oil has a natural olive flavor and is for many people the solution that makes the taste of hemp seed oil bitter. 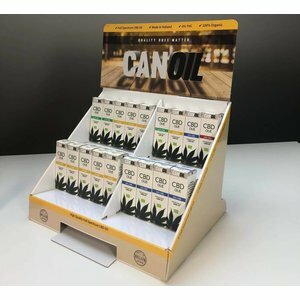 Canoil makes its CBD oil from the upper areas of the hemp plant and not from the entire plant, so that only the best of the hemp plant is used. What is Full Spectrum? And what are the advantages? Full Spectrum means that the CBD of hemp buds and other naturally occurring cannabinoids such as CBDV, CBG, CBN and THCV is maintained during supercritical CO2 extraction. Full-spectrum CBD oil can have a better effect than CBD isolate oil containing only cannabinoid CBD. This is because all cannabinoids work together in the so-called Entourage effect. This synergy not only provides a better and more effective product, but also prevents or reduces unwanted effects. 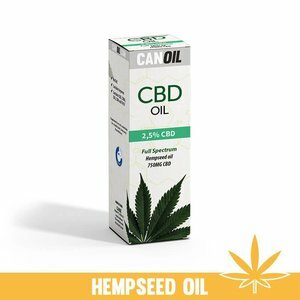 Why should you choose Canoil CBD Oil? Canoil is the only CBD producer in the Netherlands to produce CBD oil at 0% THC, unlike many other brands that offer CBD oil and contain a small amount of THC. Canoil CBD Oil is made only from the best hemp buds and not from the trunks and / or twigs of the hemp plant, which benefits the quality.